It’s difficult to imagine Stephen Curry, Kevin Durant, and the rest of the Dubs crew will defend their second title in three years as the NBA season kicks off in October. As we usher in yet another season, we turn to the only thing that will keep our sanity from now until opening tip: NBA 2K18. After all the hype, all the heavy promises made by Visual Concepts, and the endless amount of anticipation, this day is finally here. 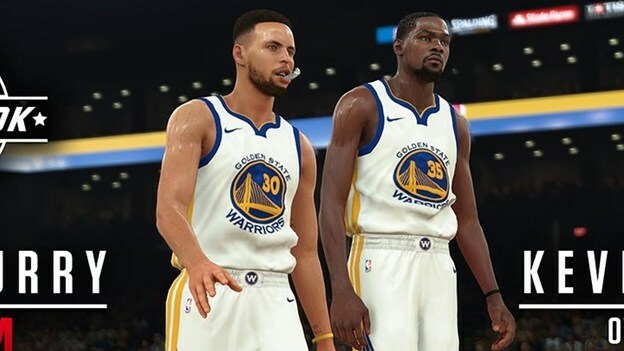 NBA 2K18 busts onto the scene in classic 2K style with just about every new feature under the sun and double the replay value as last year’s installment in what may be the best sports simulator of the year. That’s a bold claim to make, but I truly feel NBA 2K18 is the pinnacle of Visual Concepts’ success. They’ve done a masterful job of further pushing the envelope by once again blurring the line between sports simulator and RPG in Run the Neighborhood. This expansive, player-centric, and intimately personal mode has morphed into something us basketball fans have always envisioned by further expanding out the live-the-life presentation style. For starters, no pun intended, Run the Neighborhood encapsulates everything we love about the created-player game mode within the NBA 2K franchise. It boils down all the favorite sub modes down into one user-friendly platform built around an actual neighborhood that players can navigate. 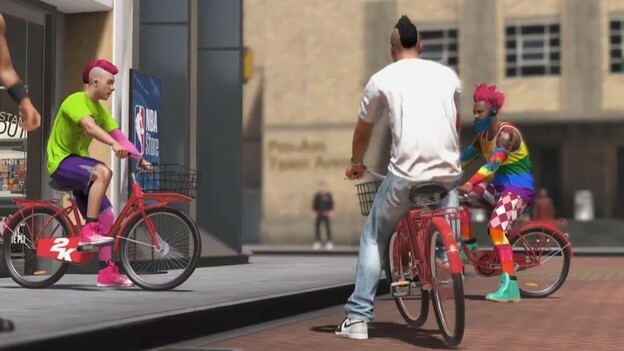 No more jumping through several menus to play your favorite offering, simple walk your MyPlayer character to the specific mode within the world and start playing. This unique concept gives players the freedom to not only select their favorite created-player platform but it also allows them to interact with fellow players in a Destiny-type open world. The best part is, every game mode is as well represented and equally satisfying as the last. MyCareer, NBA 2K18’s flagship created-player mode, is where players can build a baller from the ground up in an excited platform. Playground Park is a fun spot for players to run pick up games with local or online players up to 5-on-5. Pro-Am Circuit provides a grueling, but entertaining opportunity to join an online team and climb the ranks in the hopes of becoming the best one within the multiplayer circuit. Practice Gym is a nice, quiet place to hone your skills in the confines of your personal gym. Finally, Dunk Contest is where players can perfect their dunks against any online challengers. Jumping into a multiplayer game within any of the aforementioned game modes couldn’t be easier. Despite lots of online chatter about Early Tip-Off users encountering Data Out of Sync errors and controller problems, I had no issues whatsoever. Players simply navigate to the location within the neighborhood, walk up to the venue, and hit the “X” button to jump into that game mode. Of course, some modes take longer than others to get going, as they’ll need a full roster of players to get started. The Dunk Contest, for one, took extra long to start, as no one seemed to be around and up for the challenge. I guess my dunks are too strong! MyCareer has certainly received the biggest improvements from last year’s installment. One noticeable difference is the sheer amount of content thrust into NBA 2K18. Everything from gear and player upgrades to challenges and storyline interactions have all been beefed up. 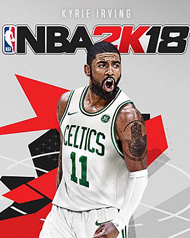 Unlike last year, where several gamers felt the offering got stale after the first season of MyCareer, NBA 2K18 seems to further extend both the storyline and the feeling of being engulfed in the NBA lifestyle. The completely revamped endorsement engine, which actually takes into account your public interview responses and off-court actions, interactions with past and present NBA players, and events surrounding game days are a vast improvement from last year. The one blemish in MyCareer has to do with the new storyline. It’s intriguing, especially since the new character takes a nontraditional path to the NBA, but downright cheesy at times. I admit, it was difficult to see the dynamic Orange Juice duo of Freak and Justice Winslow fade into the rearview, especially since Michael B. Jordan’s stellar performance added to the overall authenticity and feeling of being an actual NBA player. Our new protagonist, DJ, is hardly our old pal Freak. Perhaps I haven’t spent enough time with him or maybe I’m simply still missing the dynamic Orange Juice duo. Whatever the case may be, I do know the storyline feels forced, portrays every ethnic stereotype under the sun, and tries too hard to capture your interest. On top of that, players will have to muster their way through the unskippable, lengthy cut-scenes. The storyline is rough, jagged, and certainly has potential, but it’s less than impress straight out of the gate. Despite MyCareer’s jumbled storyline, the nuts and bolts of NBA 2K18 are solid. Each gameplay mode is centered on enhanced player movements, improved button controls, and optimized overall flow. As you would expect with an annual installment, the game takes incremental, but impactful steps forward on each of these fronts. The shooting mechanics have been updated and improved as well, with a more straight forward meter, along with significant developments in passing, setting screens, boxing out, and fast breaks.